Thank you participants in all of the Art for Change community events around Alaska. 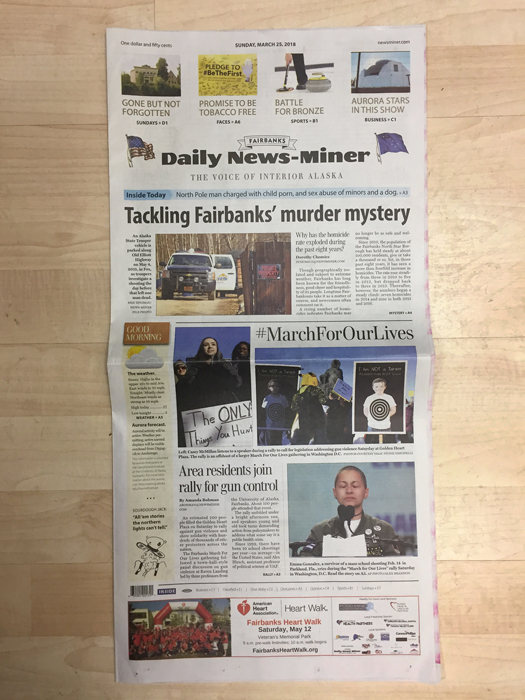 Our posters made it to the front page of the Fairbanks Daily News-Miner print addition. 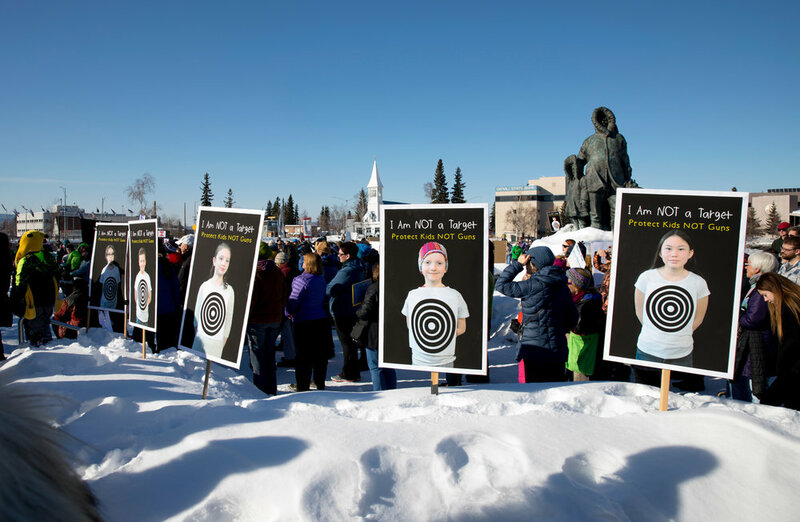 They were also seen in the March for Our Lives events in Fairbanks and Anchorage. 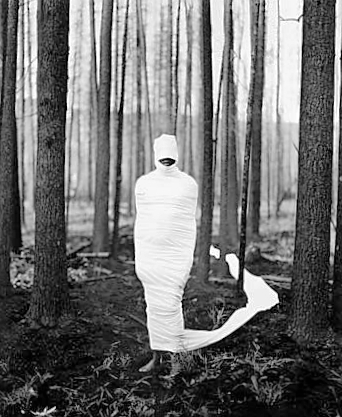 My deepest gratitude to all the participants in this important project. It takes a lot of courage to take a stand and I could not have this work without the brave participants and hosts. 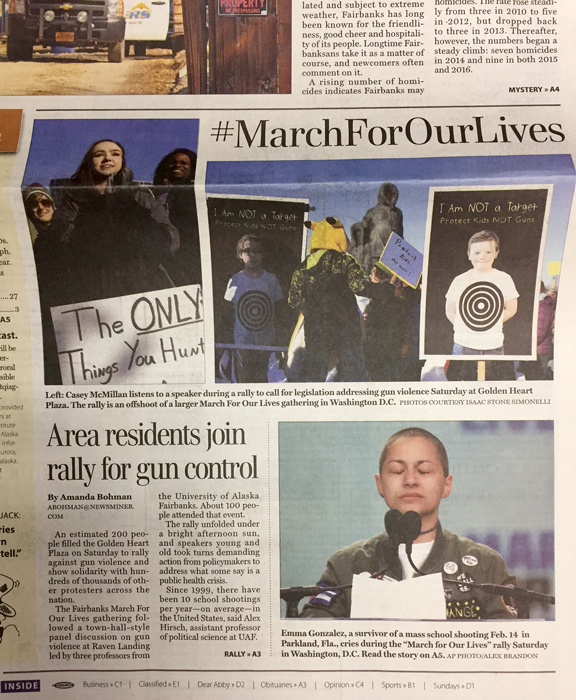 All of the photographs of people who posed will be compiled and sent to Alaska delegates in Washington, DC in hopes of communicating that change is needed in the direction of more gun safety legislation. Please contact me if you would like to learn more about this project.